What makes a Scientific Dust Collector best choice for this application? 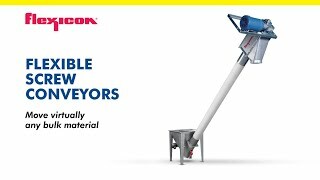 In virtually every application, Scientific Dust Collectors are sized to operate at air-to-cloth ratios significantly higher than those required by less sophisticated dust collectors. In some cases, our air-to-cloth ratio is as much as twice or even more than that of generic collectors using a flow restricting venturi-based cleaning system. This means Scientific Dust Collectors need only half, or less, of the filtering fabric area for a given air volume. Obviously, this difference in air-to-cloth ratios is dependent on the type of dusts collected and the specifics of the dust collection application. Our patented ‘Nozzle’ technology, and the usage of a high side Inlet and increased bag spacing allows us to provide you cost-effective alternatives that will solve your dust problem in the most efficient way possible while saving you space, maintenance and operating costs. At first glance, it appears as though Scientific Dust Collectors is grossly under sizing the equipment. Nothing could be further than the truth. In fact, you are at greater risk of having problems with your dust collector if you choose one that has to increase the filter area to compensate for the poor performance of the cleaning system. By using our superior cleaning technology, Scientific Dust Collectors offers price competitive dust collectors without having to resort to cost-cutting elimination of valued constructional features, quality, and the attention to detail we believe you deserve. 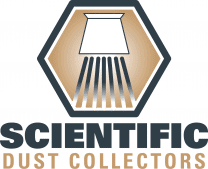 Isn’t it time you discovered the Scientific Dust Collectors difference? Why settle for less when a more sophisticated alternative is available to you.